Babylonian amora of the fourth generation; contemporary and colleague of R. Zera II. 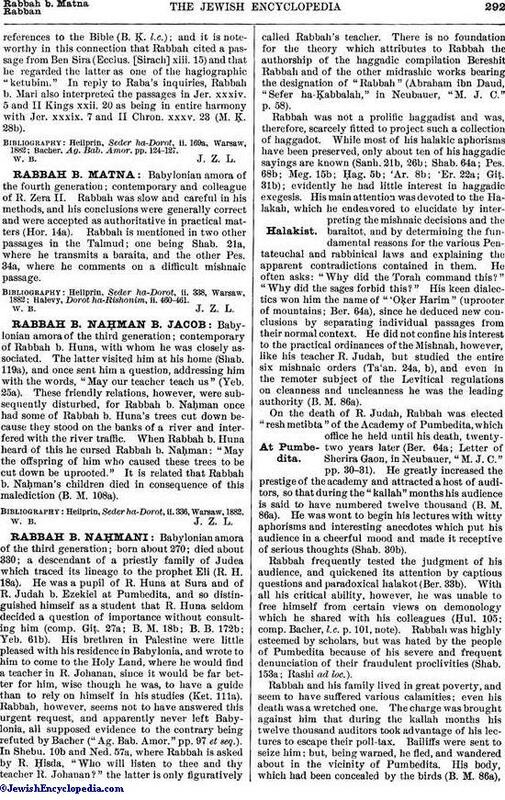 Rabbah was slow and careful in his methods, and his conclusions were generally correct and were accepted as authoritative in practical matters (Hor. 14a). Rabbah is mentioned in two other passages in the Talmud; one being Shab. 21a, where he transmits a baraita, and the other Pes. 34a, where he comments on a difficult mishnaic passage. Halevy, Dorot ha-Rishonim, ii. 460-461.